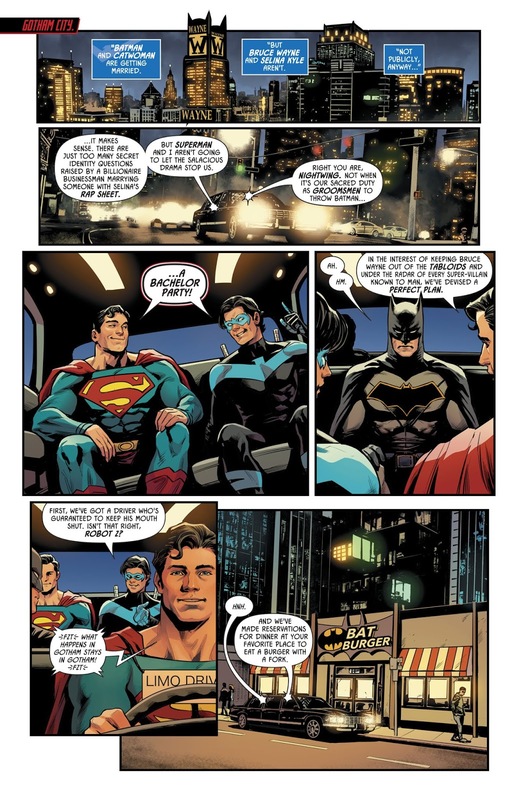 Superman and Nightwing takes Batman, in costume, to a Bat Burger chain for some burgers. Then they were supposed to go fishing in a pocket dimension when Hush broke the party. 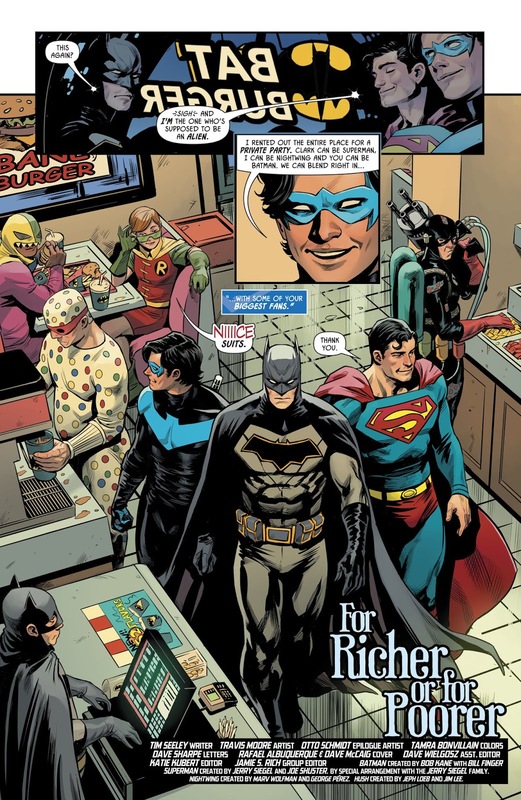 My only complaint here is that Batman’s bachelor party warrants a whole issue of its own. 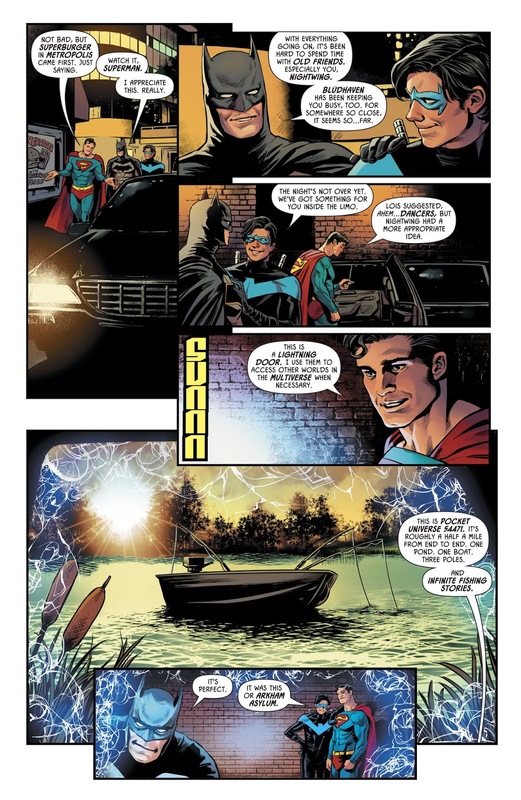 Plus, there should be more participants other than just Nightwing and Superman. Sure, Batman’s personality alienates him from most of the superhero community but come on, I would love to see Hal Jordan and Guy Gardner annoy Batman on his last night as a single man.